Being a 'Budget-product lover', I had always stayed away from buying MAC products. 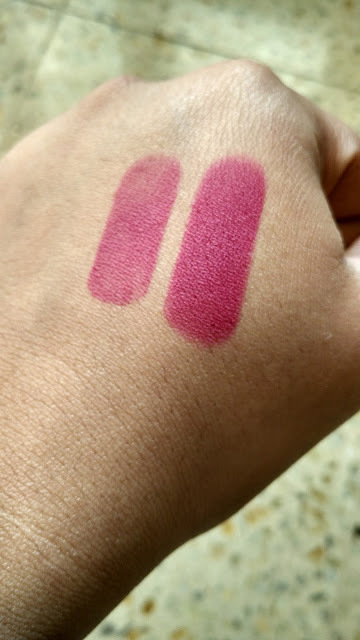 Sure, I lusted after the lipsticks like crazy .. (lol I wont lie to you..) but never got myself to buy any :-) In 2015, the (Makeup) Universe said "Enough of this wishful thinking...there you go!!" 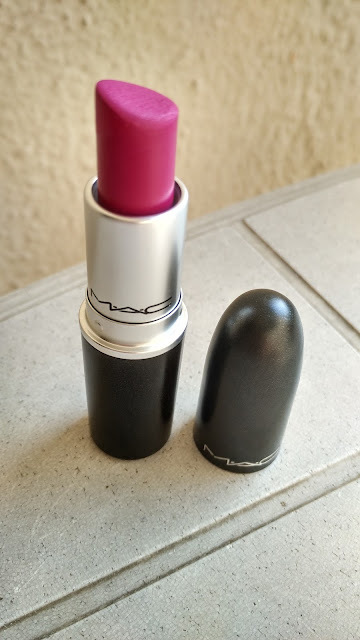 & one by one, I saw MAC lipsticks dropping into my life through some divine (read - Weird!) intervention ;-) One of these beauties is 'Flat Out Fabulous' (FOF) which the Husband very sweetly bought for me on one of his trips. Shade: Flat Out Fabulous is a bright, plum-toned fuchsia shade which would compliment all skin tones - Light to Medium & Medium to Dark. It's a beautiful, happy shade & is best worn during the day. Texture & Formula: FOF, being a Retro Matte (more dry than regular MAC Matte), slightly tugs while applying & dries out your lips a bit once it settles down. Exfoliating & moisturizing your lips before hand is definitely a MUST with this one. Mostly, all MAC Retro Matte lipsticks tend to dry out the lips, so I've got no specific complaints here .. I'm pretty used to it now! Wear-time: FOF lasts on my lips for about 4-5 hours not considering meals & drinks. It seems to slightly fade away from the inner part of the lips after a meal & glass of water. I don't always remember to 'touch-up' my lipstick, but FOF has never left me 'bare-lipped' (lol if that's a word!). 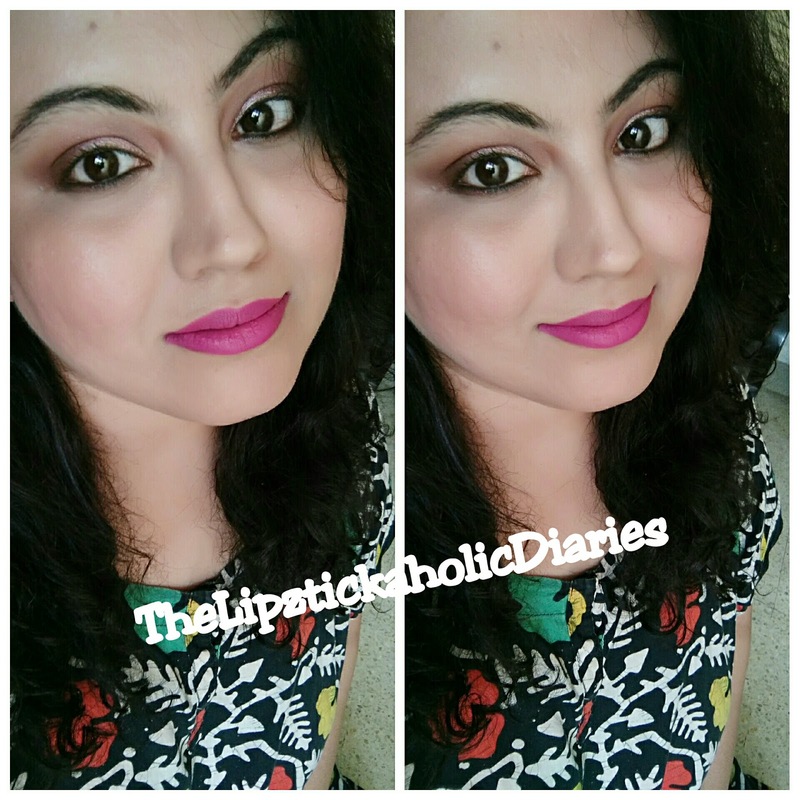 Overall Experience: I have loved wearing this shade because it just seems to brighten up my day :-) I have just recently got this lipstick some time ago & have worn it about 6-7 times till now. But please believe me when I say that I have been asked about which lipstick I'm wearing....every single time! Anyway, I love my matte shades & have gotten used to the dry feeling that comes with especially the MAC ones. So yes, this shade dries out your lip quite a bit but is rather lovely to sport if you like 'purpley-pink' (plz tell me people use this word...or is it just me? lol). Flat Out Fabulous is beautiful & I prefer to wear it with white/off-white tops & black ones, where I know the lipstick (rather than the clothes) will take center-stage. I also wear it with pink & purple toned kurtas, where somehow it seems to match them & hence doesn't stand out that much :-) See THIS Instagram photo with my lil one. Do you own any other MAC shades that you'd like to share here? Do you have a similar shade, by another brand, that you wish to recommend? Leave me all the information in the comments section below! Hope you liked this quick review. Until the next post, Ciao!! This shade looks so lovely on you!!! Thank you so much dear! You have a lovely blog...I'm looking at your haul pic & looking fwd to the Maybelline Gradation lipstick review :-) Do post it soon! The shade looks absolutely stunning on you. This is an amazing shade and looks gorgeous on you Neha. Looks lovely! Must check this one out!